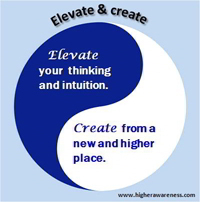 Elevate, then Create - part of a 2 step journeys"
It's only when we become aware of our habitual patterns of thinking and our self sabotaging behaviours that we gain the power to choose differently for ourselves. We must move beyond the old thinking so we have new perspectives and insights for new solutions. Elevate your thinking and intuition, and you will create from a new and higher place. This is one of 24 '2 Step Consciousness Journeys' to help you raise your perceptions and thinking, so you can create more options to be manifested in your life. 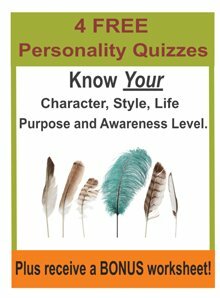 To make the most of this list, review and identify key words that you would like to integrate into your being and then meditate on them. Bring them into your consciousness as often as you remember to do so. This is a sample of 24 - "2 step consciousness journeys". By repeating spiritual principles through different perspectives, these short reminders encourage us to be more present to life and empowered through higher consciousness. For more details and to receive your 24 unique 2 step journeys, click here.